More about the Segal TrialsShaped by history. Defined by our mission. Federal law requires that every medication must go through a series of clinical research trials before being approved by the FDA, in addition to being approved by an independent Research Ethics Board. 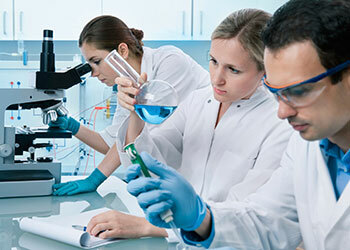 Clinical research trials are critical in the advancement of medicine and making available new and helpful medications. It is Segal Trials’ mission to play an integral role in the advancement process and help millions of people suffering from disease. You hope to benefit yourself or those closest to you in ways that will improve your quality of life. You might be seeking a cure or treatment for a specific disorder. You could have a strong desire to regain control of your body and illness. You may receive the latest treatments that are not yet available to the public. You will receive a variety of beneficial services: expert medical care, laboratory tests, ECGs, as well as additional diagnosis and study medications that are not being offered to patients who choose not to participate in these studies. If you have an interest in learning more about clinical trial participation, please take a moment to review the list of clinical research studies we are conducting in your area. There may be a trial for which you or someone you know may qualify. To see the list, please click on “Currently Enrolling Studies“. When you identify a study of interest, you may click on that trial to learn more about the study and fill out a confidential pre-qualifying questionnaire to register with us. Once you are registered, we will contact you within 24 hours on weekdays. Pursuant to our Confidentiality Policy, you may remove yourself from our database at any time and your information will remain confidential within our database.